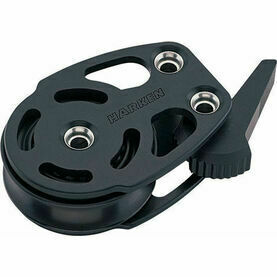 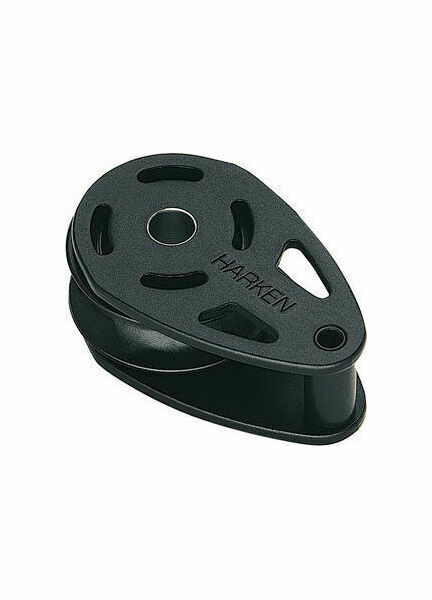 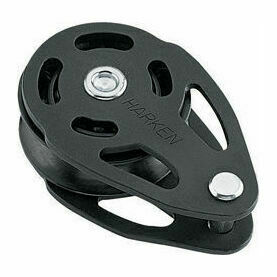 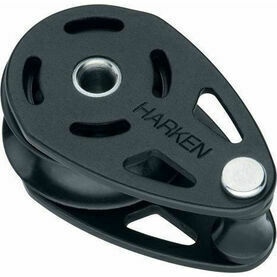 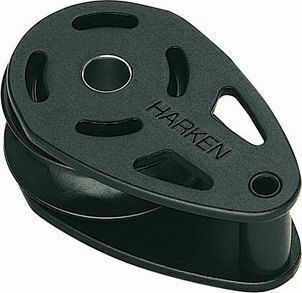 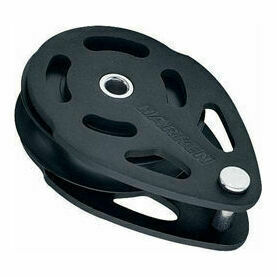 Simpler in design and construction than their existing range of boat blocks, this 40 mm Aluminum Teardrop ESP Footblock from Harken features much of the same style and function. 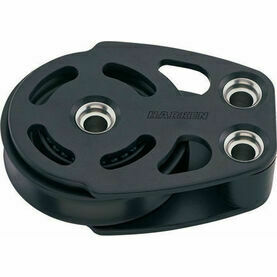 By adding sleeve bearings to the sheaves, this ESP boat block can handle high static loads, and is overall well suited for halyards or limited purchase systems on cruising boats. 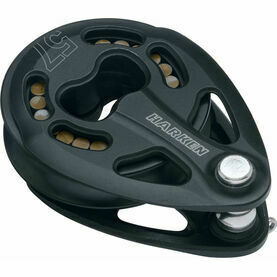 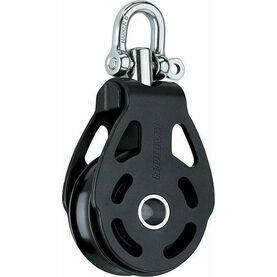 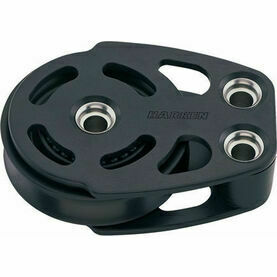 As a footblock it can also be used to redirect lines on the deck, and the teardrop allows for direct attachment to padeyes, mast collar posts, perforated mast collars, or in mastbase situations where leads might change.